Altius is a five-story residential block in Latham’s Yard, Hackney, East London. 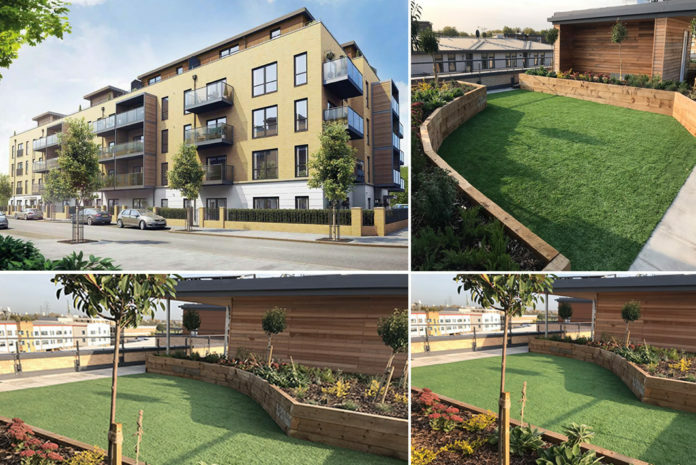 In order for internal works to take place within the new-build property without interruption from the elements, developer Taylor Wimpey said it required a roof system that offered rapid installation, optimum waterproof properties and was capable of facilitating a communal garden area. Sika-Trocal reportedly met each requirement. Roof installation at the Altius development began in February 2017. Carried out by Contractors T & T Roofing, who are a specialist flat roofing contractor within the UK, the project involved the waterproofing of three staircase roofs at the building’s highest level as well as the provision of a watertight system for a communal garden located on the floor below. 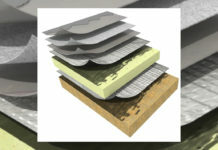 For the staircase roofs, Sika-Trocal Type S 2mm was installed to a layer of tapered insulation. 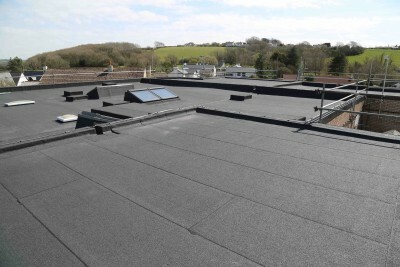 Sika-Trocal Type S is said to be suitable for mechanically-fastened roofs in both new-build and refurbishment applications and is said to be a ‘rapid and economic’ system to install. 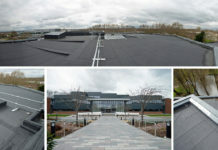 The 2mm-thick slate grey membrane was installed across a 400m2 area of the upper roof. The unreinforced nature of Type S membrane is said to offer malleability and allows high quality detailing works – the Altius development included a large swathe of PV solar panelling – to be completed to an ‘exceptional’ standard. 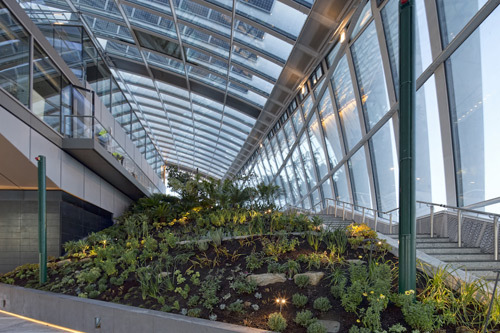 For the 360 m2 lower roof, which incorporated a communal terrace garden featuring soil-filled timber sleepers, planting and artificial grass, Sika-Trocal SGmA ballasted roof system was installed with SVB protection. Comprising ballast surface protection, a multi-layer, synthetic roof waterproofing covering, PIR tapered insulation and an s-vap 500e vapour control layer, the system – which was finished with paving slabs set on adjustable pedestals for the Altius project – reportedly creates a strong supporting structure that allows a roof to be used as a trafficked area for terrace gardens, balconies, communal spaces and the like. 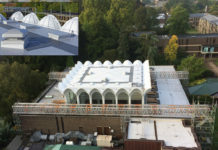 Completed in October 2017, within the client’s eight-month deadline, the Altius roof project provided an example of Sika-Trocal’s quality waterproofing range. Along with its rapid, user-friendly qualities, the Sika-Trocal Type S system comes with a 20-year warranty, thus guaranteeing the long-term performance of this roof solution.